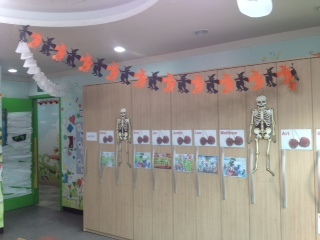 Halloween is not widely celebrated here. 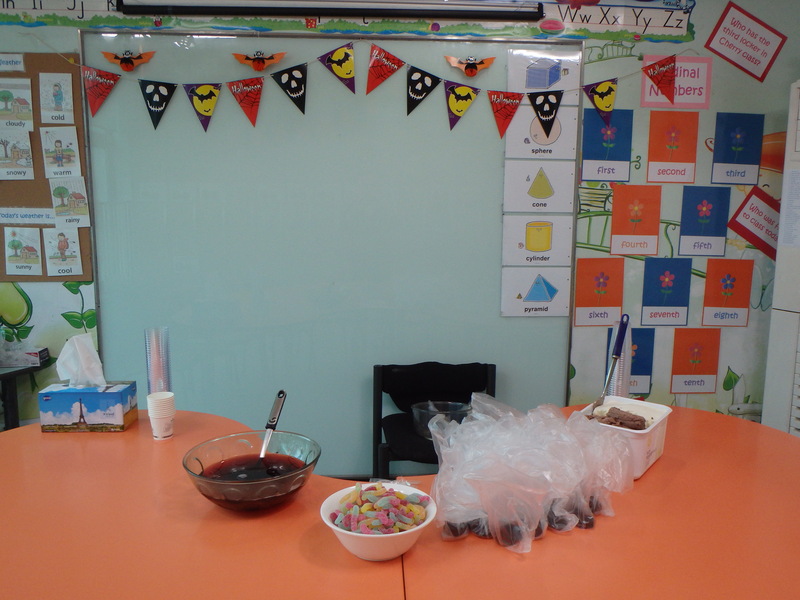 From what I gather it is only celebrated in the areas expats frequent and in the English schools. 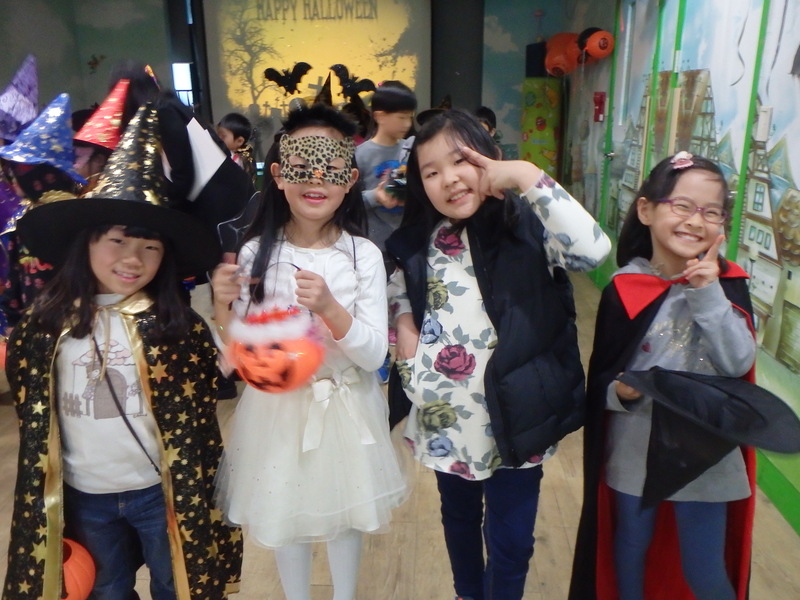 Halloween isn’t something I really celebrated when I was growing up so I’ve never really cared that much for the holiday. 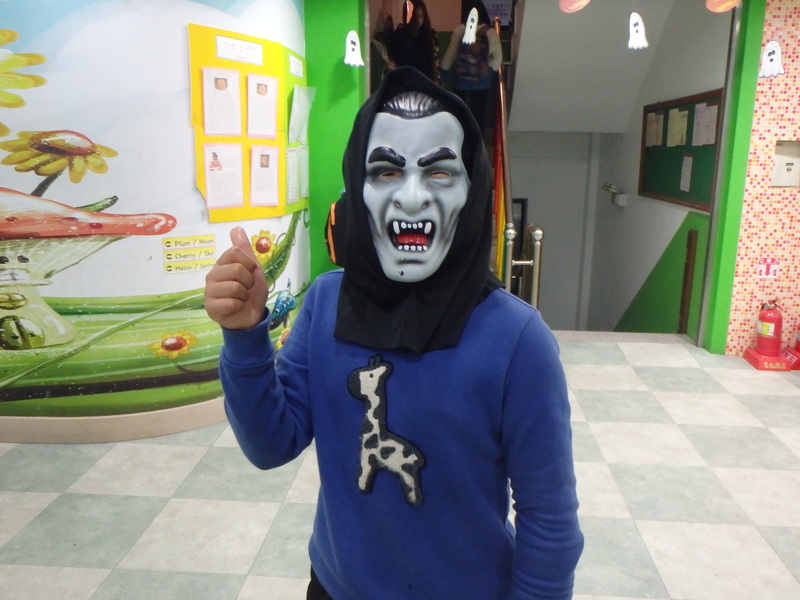 In fact, I’ve never been trick or treating! 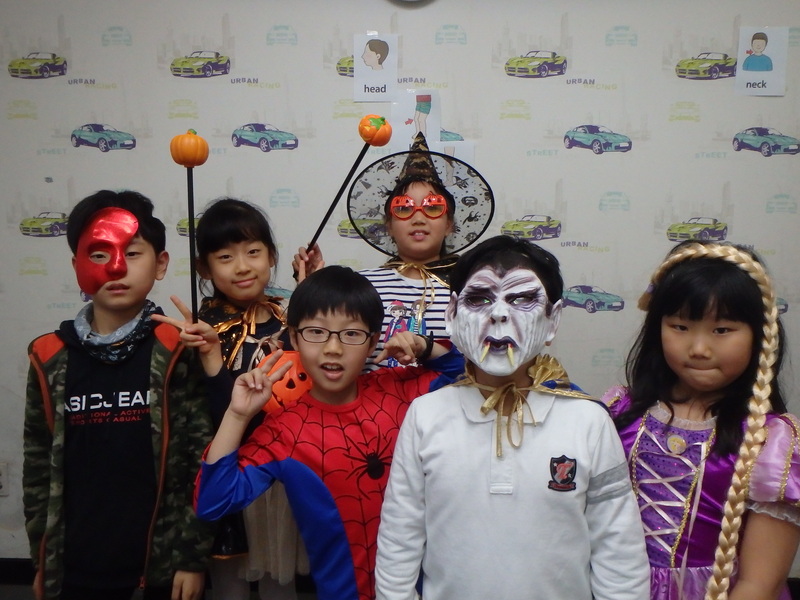 However, this year was a more exciting because the kids were really looking forward to wearing their costumes and eating candy! 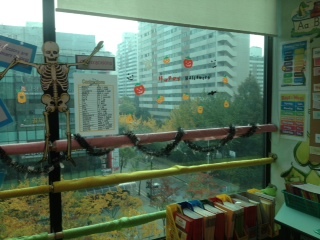 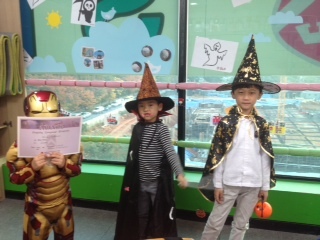 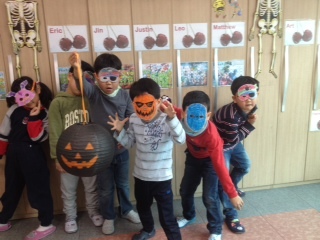 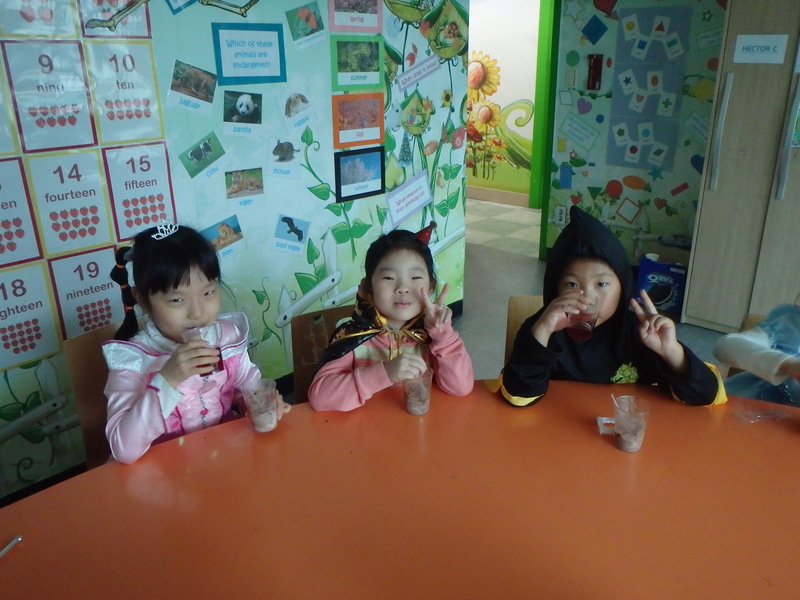 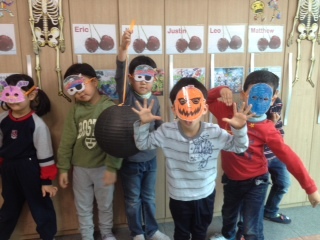 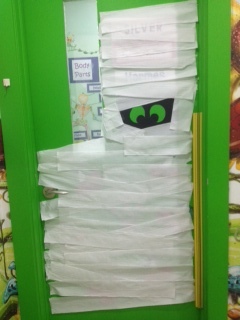 We decorated our kindergarten classrooms and had a Halloween Party on Thursday and Friday for the younger classes. 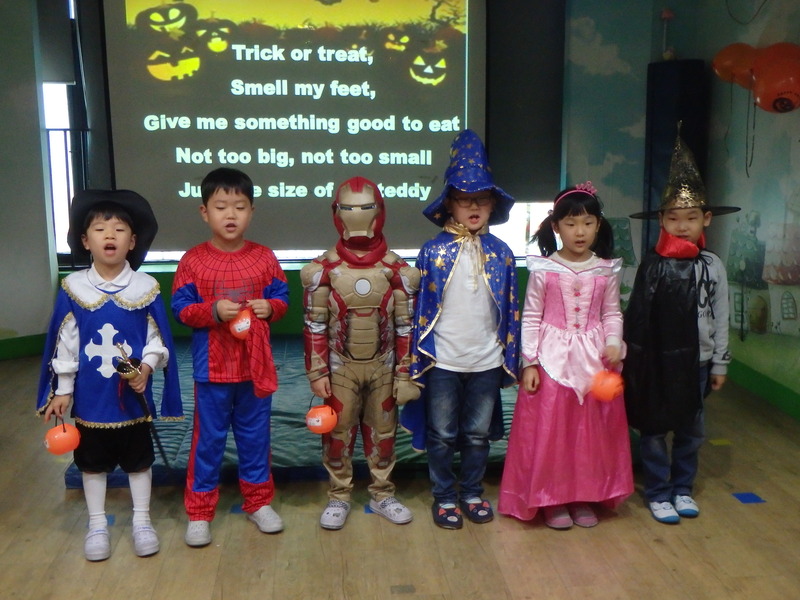 They “trick or treated” (sort of) by lining up and getting candy, we sang the Trick or Treat song (which I did not know! 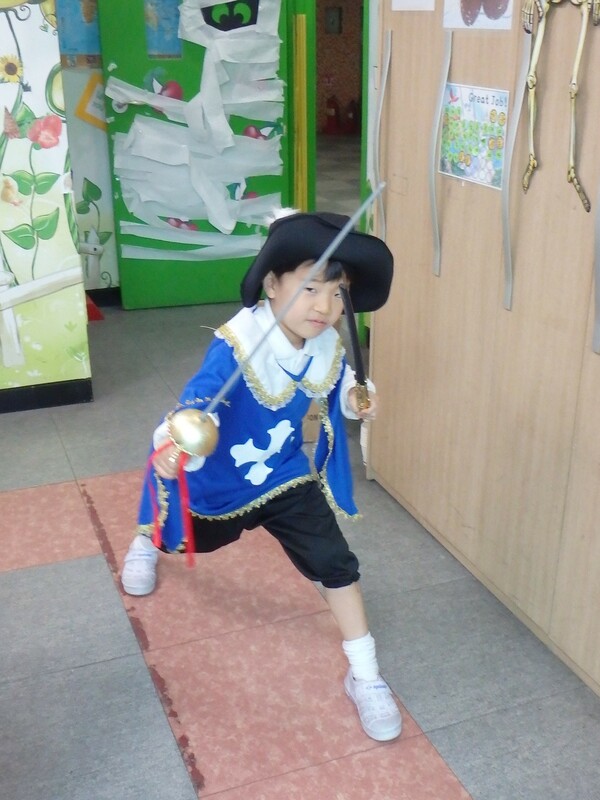 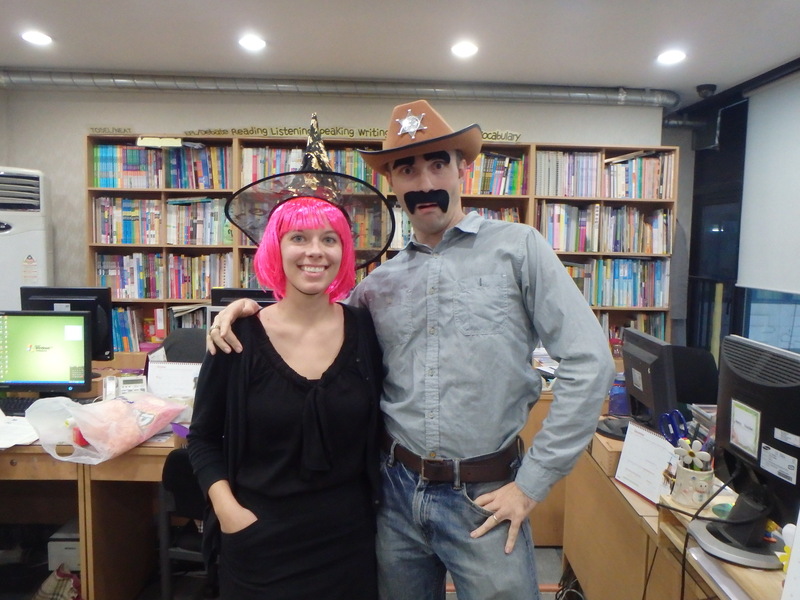 ), and we had a costume contest. 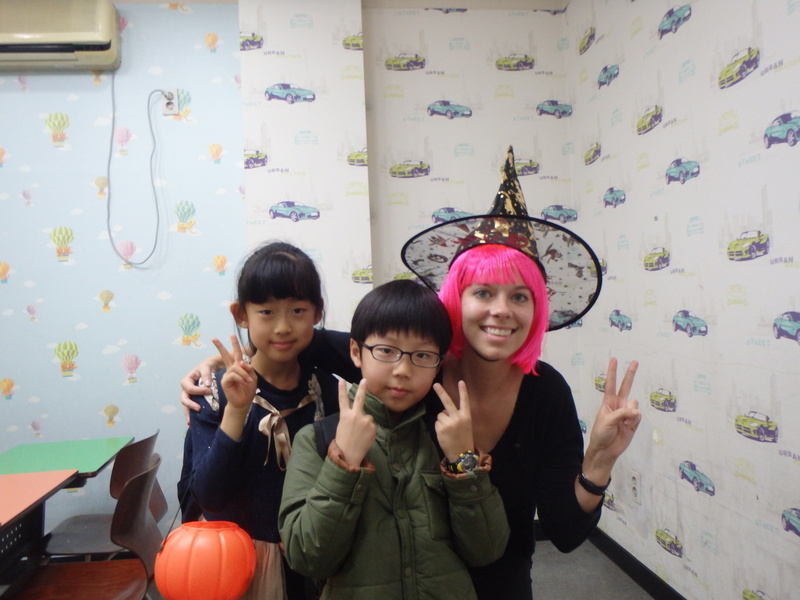 It was an exhausting day for me but a really fun day for the kiddos. 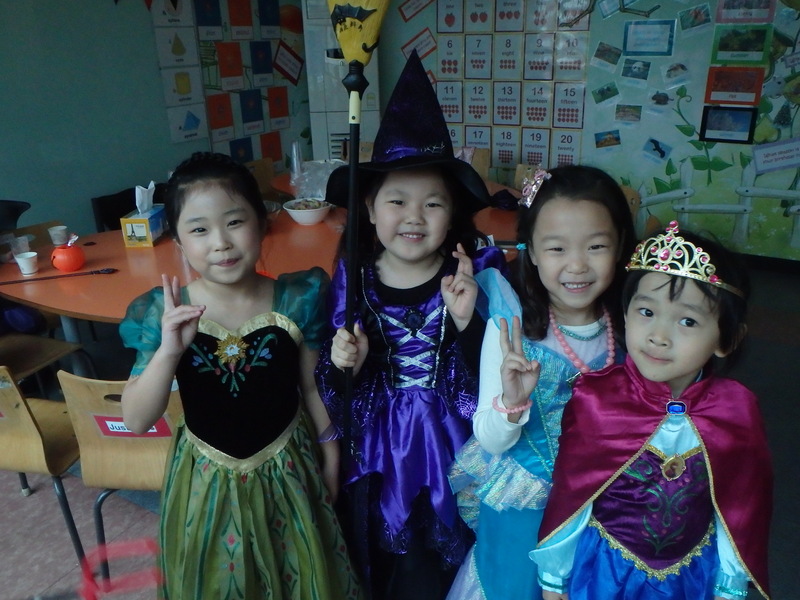 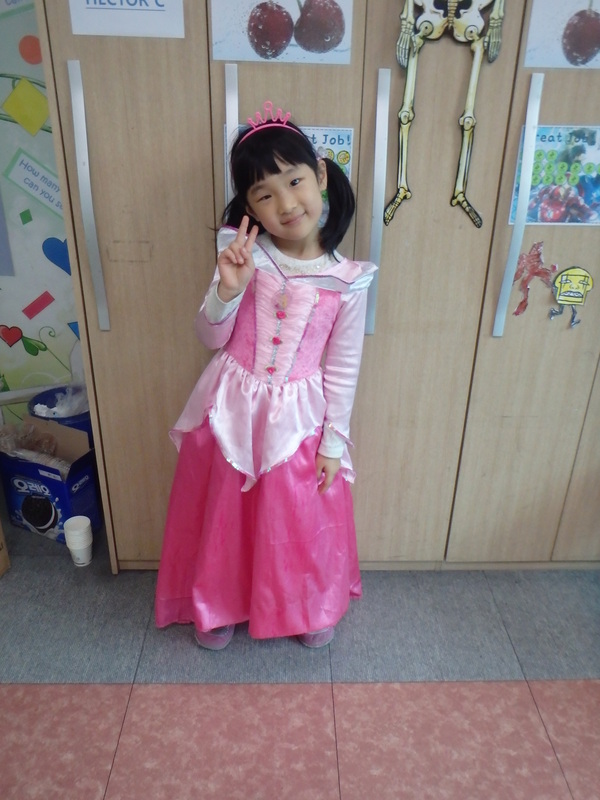 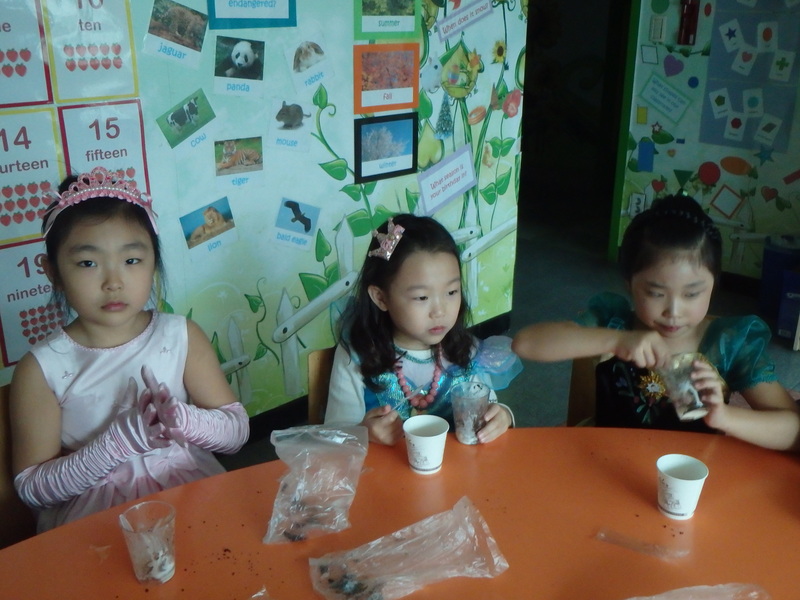 There were a lot of princesses in the morning classes and a ton of witches in the afternoon. 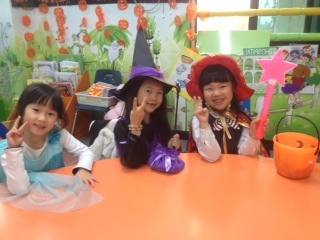 I think there’s probably a pretty limited selection of costumes available here and the concept of creative costumes is a little bit lost on them. 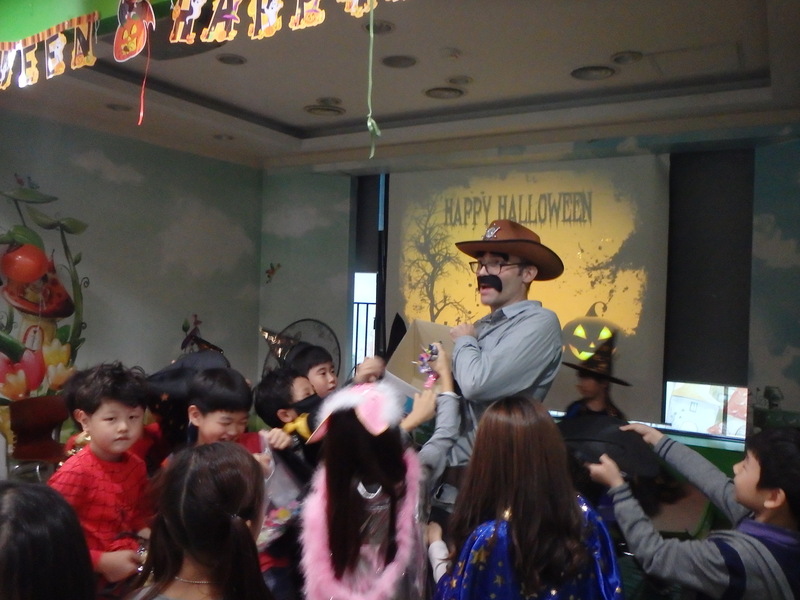 Zach was attacked by the kids! 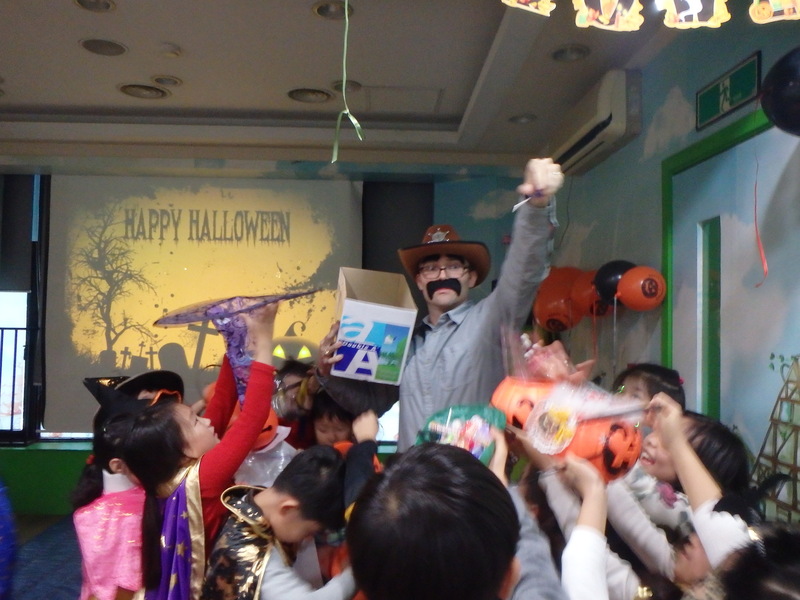 They really wanted more candy! 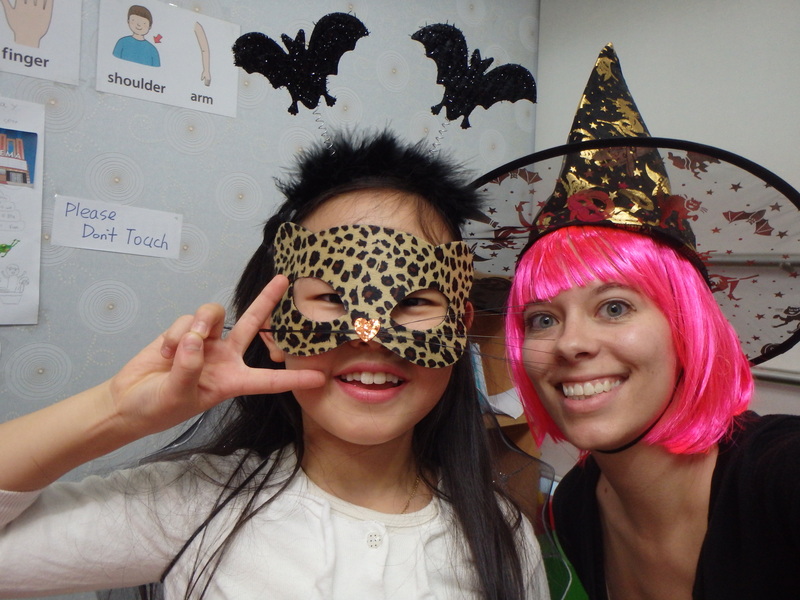 Our makeshift costumes – several of my students told me how ugly my hair was!